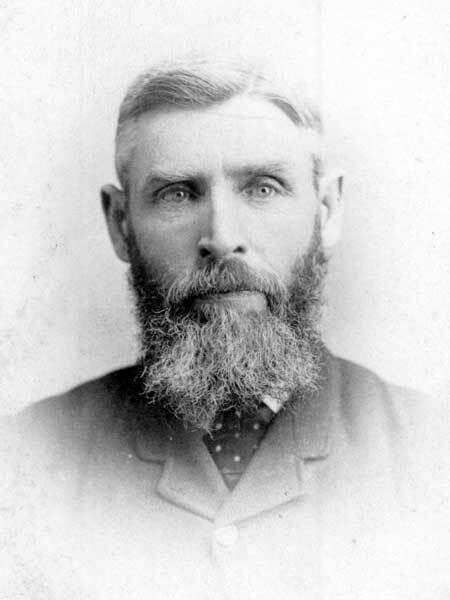 Born at Nairn, Scotland on 14 October 1841, brother of Duncan MacArthur and Alexander MacArthur, he came to Red River in 1869 to work on the Snow road, which was being constructed by the federal government. He was listed in 1872 as a cabinet maker. He was one of the group who were in John Schultz’s house when they surrendered to Louis Riel in December 1869. He escaped from Lower Fort Garry on 10 January 1870, but was soon recaptured. When released he travelled with A. W. Graham and J. Latimer from Winnipeg to Minnesota on snowshoes in mid-March 1870. He later became a timberman and steamboat builder in Winnipeg. In 1872, he built the first steamboat in Manitoba. In 1874, he married Pauline Albertine Bratnober (1852-1924) at Waverley, Iowa. They had six children: Duncan Charles MacArthur (1875-1962), Alexander Dallas MacArthur (c1876-? ), Eva Louise MacArthur (1878-1933), Mary Agnes Medd, Pauline Isabelle MacArthur (1885-? ), and John Ernest MacArthur (1887-1973). He died at Winnipegosis on 28 August 1936 and was buried in the Winnipegosis Cemetery. Some of his letters were published in 1992 as MacArthur Family Letters, edited by Valdene Mae Medd and Edna Alexandra Medd. There are papers at the Archives of Manitoba.